NetFix LLC, together with their gang of fraudulent online writing service providers, continues to smear the good reputation of IHateWritingEssays.com by filing malicious DMCA complaints. They want to fill the internet with fake reviews about their writing websites; thus, they conscientiously bring us down in order for the truth to be hidden from the public. As they try to remove us from Google search results again, we will still strive to provide the public with honest reviews to prevent people from being scammed. Most of these "independent platforms" are only proclaimed to be so. The vast majority of them are affiliated with the same owners, which basically translates to "same companies, different name". Well, it's time to confirm my statements on real examples. I was prompted to write this article by bad experience with GrabMyEssay.com (you can find out more in my GrabMyEssay review). I found www.grabmyessay.com some time ago at www.topwritersreview.com. The reviews seemed real to me, and the site itself was credible at first glance. And so I made the order. I thought that trusting them could lead me to something big, but oh, how I was wrong. 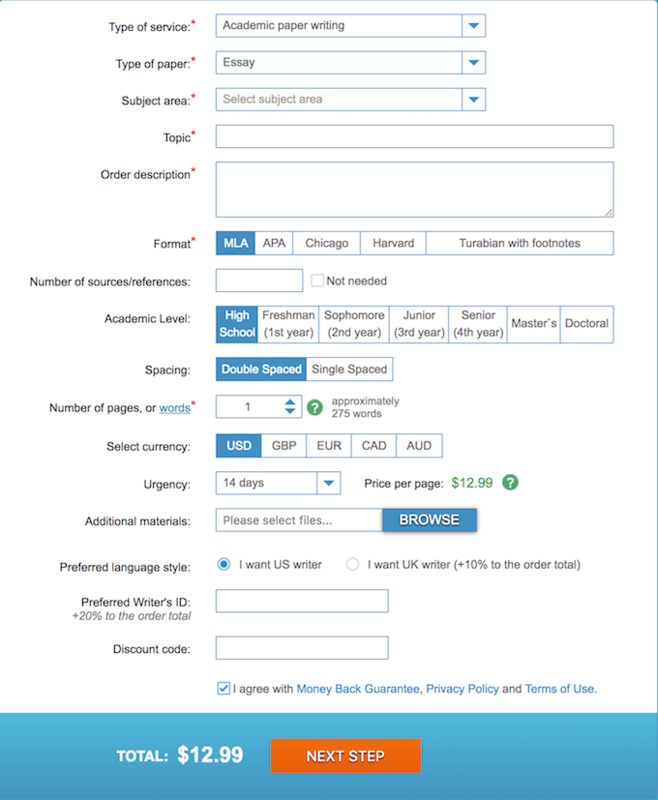 "While we are here, students should not worry about essay writing services. 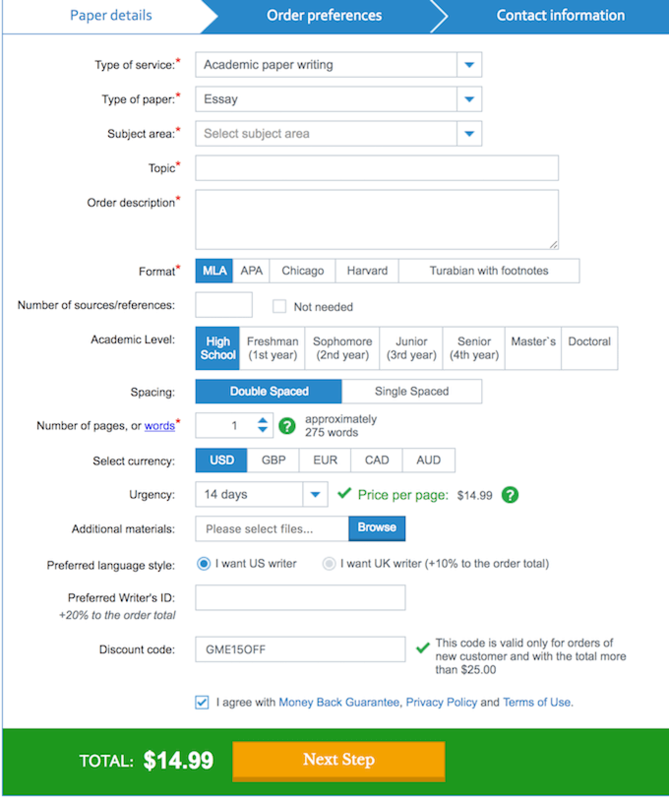 Besides writing, we offer the best information on how to find the best essay writing site. ", this is the way so-called "Top Writers Review" organization presented itself. I believe students should worry because the whole story of this website is an endless fraud and manipulation. 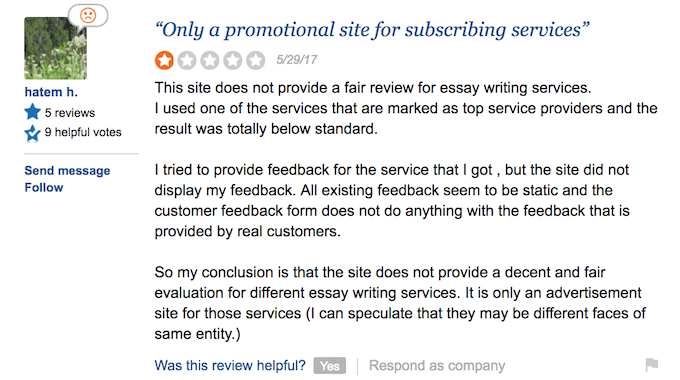 After a horrible experience of communicating with GrabMyEssay support, I once again return to TopWritersReview and looked more closely at how their rating is organized. I analyzed all 89 sites included in their rating and here are the conclusions. First 30 websites owned by the same company (popular fraud scheme I described in my previous post). It's not so difficult to figure out, actually. All of them have a similar design, and their order forms are absolutely identical. Do you need proof? See the screenshots. This is also confirmed by the fact that all these sites received a good rating of 7 to 10 points. I'm 100 percent sure that all the reviews are fake from the first to the last word – it's nearly impossible that a company with such a bad online reputation has an above average rating. So, here is the full list of sites. The remaining sites on average received from 3 to 6 points. If you explore these sites, it becomes clear that almost all of them owned by different companies. That is, TopWritersReview team deliberately wrote fake reviews and made them bad. In the modern slang, this is referred to as "smear campaigns". People pay top dollar to professional scam artists that invent devious lies on the given subject, after which the end result becomes viral in mere moments. If you thought that this is the end, you're sadly mistaken. No way, my friends! I did not stop there and started looking for more. What I found surprised me, because I discovered a couple of dozen similar sites (all developed by NetFix LLC)that bring traffic to all the same services. As one user said, TopWritersReview.com is nothing more than "a promotional site for subscribing services". It's okay to promote your agenda, that's what Internet is for, but doing so by walking over other legit companies is plain wrong, to say the least. I urge you to refrain from visiting sites by NetFix LLC because they are proven to offer fraudulent writing services. Aside from that, NetFix LLC also maintains a talent pooling site called WritersHub.org. It is where they hire freelancers to accomplish the tasks needed for the students’ assignments. If you are a writer and would like to work with a decent client, then do not trust WritersHub.org because they will only use your talent in exchange for an unfair amount. 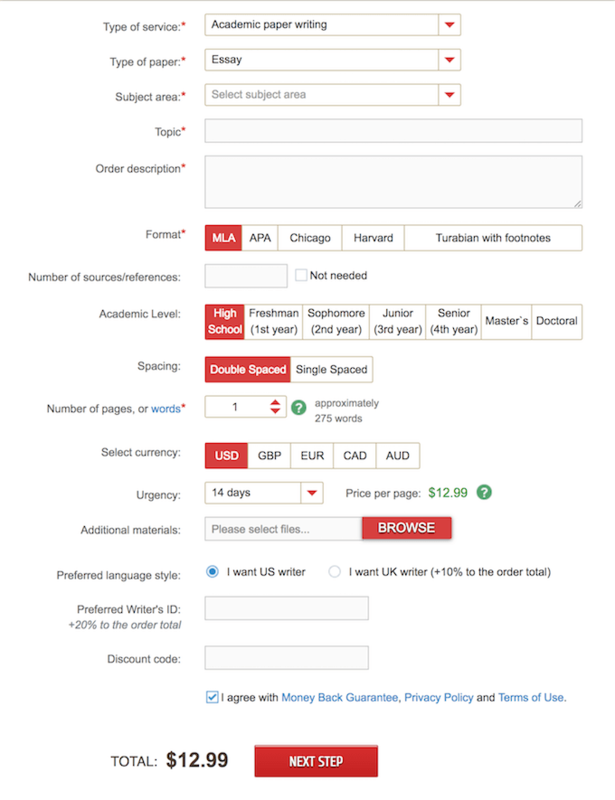 I hope this is a good example of how essay writing services deceive their potential customers. But we, students, have a weapon against such manipulations. Knowledge, truth, critical thinking. Do you want more insights? Read my blog, reviews and a list of fake services review sites. And don't forget to share your experience (comments are anonymous).